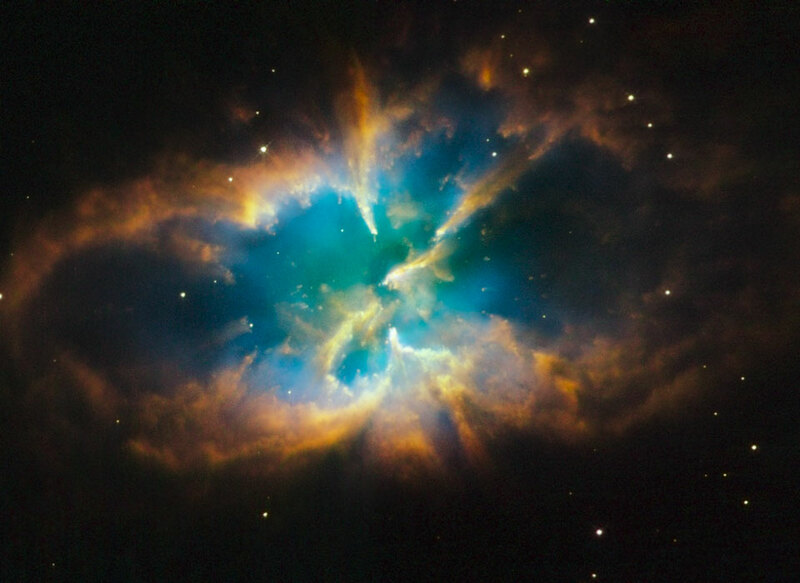 Explanation: NGC 2818 is a beautiful planetary nebula, the gaseous shroud of a dying sun-like star. It could well offer a glimpse of the future that awaits our own Sun after spending another 5 billion years or so steadily using up hydrogen at its core, and then finally helium, as fuel for nuclear fusion. Curiously, NGC 2818 seems to lie within an open star cluster, NGC 2818A, that is some 10,000 light-years distant toward the southern constellation Pyxis (the Compass). At the distance of the star cluster, the nebula would be about 4 light-years across. But accurate velocity measurements show that the nebula's own velocity is very different from the cluster's member stars. The result is strong evidence that NGC 2818 is only by chance found along the line of sight to the star cluster and so may not share the cluster's distance or age. 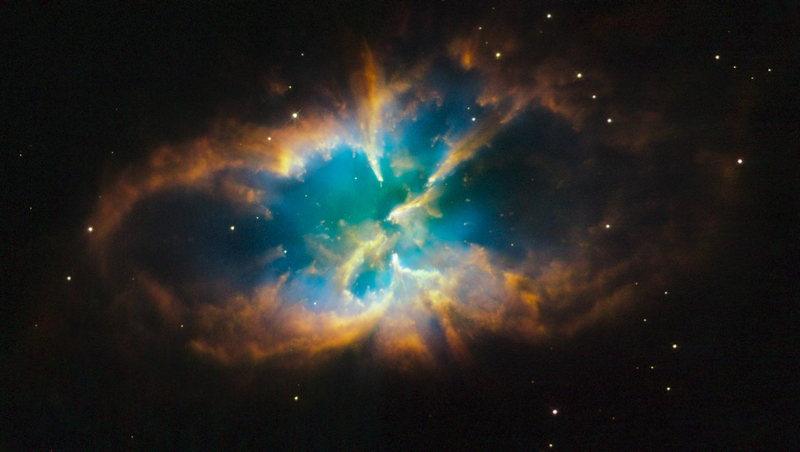 The Hubble image is a composite of exposures through narrow-band filters, presenting emission from nitrogen, hydrogen, and oxygen atoms in the nebula as red, green, and blue hues.